UPDATE: Show dates have changed to June 7th, 8th, 9th, 10th, 14th, 15th, 16th, 17th (8 shows total, two matinees). Please keep this in mind if you plan to audition. 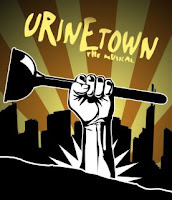 Auditions for "Urinetown" will be held the April 16th and 17th at 7 PM Maciolek School of Dance (1849 North Jefferson Street, Hobbs, NM, click here for directions). Singing and cold read auditions will be held on the 16th with callbacks on the 17th. Prepare a 1-2 minute song, preferably from a musical. Songs from the show are acceptable. Bring sheet music in the appropriate key or a CD track without vocals. An accompanist will be provided. The 17th will be a dance audition (dress to move) followed by more cold readings of the script. 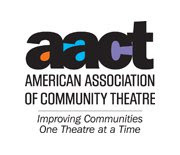 A current theatrical resume and headshot are highly recommended, but not required. "Urinetown" will be directed by Juston and Larry Harlin. Show dates are June 7th, 8th, 9th, 10th, 14th, 15th, 16th, 17th (8 shows, two matinees). 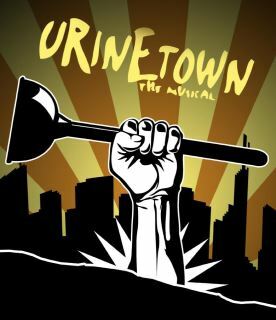 One of the most uproariously funny musicals in recent years, "Urinetown" is a hilarious tale of greed, corruption, love, and revolution in a time when water is worth its weight in gold. In a Gotham-like city, a terrible water shortage, caused by a 20-year drought, has led to a government-enforced ban on private toilets. Winner of several Tony awards, including Best Original Musical Score, "Urinetown" has been performed regionally at such places at Baylor University and Texas Tech University. "Urinetown" catapults the “comedic romp” into the new millennium with its outrageous perspective, wickedly modern wit, and sustained ability to produce gales of unbridled laughter. Cast: 11-20, ensemble with feature roles. And yes, it really is called "Urinetown"!